It all started in 1982 with the world's first rack mount programmable audio processor, the Eventide SP2016, where a flexible 64 tap delay debuted as part of its Factory Program suite. By the late 80's UltraTap had migrated to the legendary H3000 Harmonizer® effects processor and then to the DSP4000 and H8000. Thanks to advances in technology, we were able to include UltraTap in a portable compact form factor, the H9 Harmonizer® stompbox. And now UltraTap has come back to the studio via your DAW and FOH environment, where it all began 35 years ago! 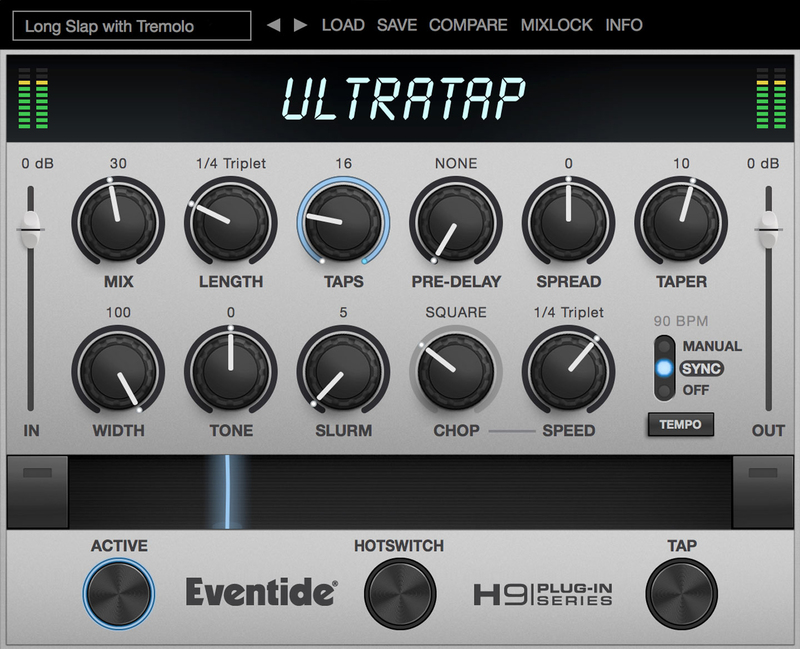 Eventide UltraTap plug-in A unique, versatile and powerful plugin for sound design and creative mixing, UltraTap brings Eventide’s classic effect to the DAW in style, and at a very fair price. UltraTap is a surprisingly deep sound manipulation tool. Sure, you could use it as a normal (though high-quality) multi-tap delay but that would be selling its many other abilities short. The result is a very clean and modern sounding effect, which can get glitchy and very weird if you want it to.